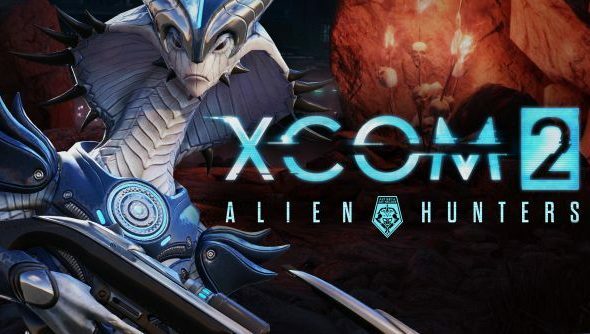 The second XCOM 2 DLC is nearly here, and it’s all about new types of aliens and the doom/technology they bring. Alien Rulers will be added to the game with a new story mission to enable them, bringing super-elite versions of the Viper and other enemies that will pursue you across multiple missions. They’re basically total badasses that aren’t afraid to run away once they’re on low health, forcing you to pursue them for their delicious autopsies, or let them run and interrupt you again later on. To help, you get new armour and weapons, natch. XCOM 2 is one of the first we declared the best PC games 2016. What will join it? The Rulers will act very differently from their lower grade bretheren, with “unique behavior and tactics” so it shouldn’t be just like going up against a particularly angry Viper when you face their king. Bolt Caster, a “high damage single-shot weapon”. Hunter’s Axe, a melee weapon that also has a thrown, ranged option. Shadow Keeper pistol, with a unique ability to place a character back in concealment after a 100% accurate shot that kills. Frost Bomb grenade, which does predictably ice-flavoured things to enemies it hits. The Shadow Keeper sounds blisteringly overpowered, so we’re assuming it does low damage. Either way, every one of them is a prototype and can’t be replicated – if you don’t carry it back to the Skyranger after whoever was using it dies, it’s gone forever. New armours come direct from the corpses of the Rulers, providing unique benefits and making any troops that Ruler was associated with scared of you – y’know, cause you’re wearing their skin? Their example of this is an Icarus suit which lets you literally fly around the battlefield. The DLC will also come with a big patch fixing bugs, balancing the campaign and generally improving things. It’ll be $9.99 on its own come May 12, or it comes as part of the Reinforcement Pack Season’s Pass, which is $19.99 / £15.99 and gets you the Anarchy’s Children cosmetics as well as the upcoming Shen’s Last Gift DLC too. Little bit more info over in the official post.